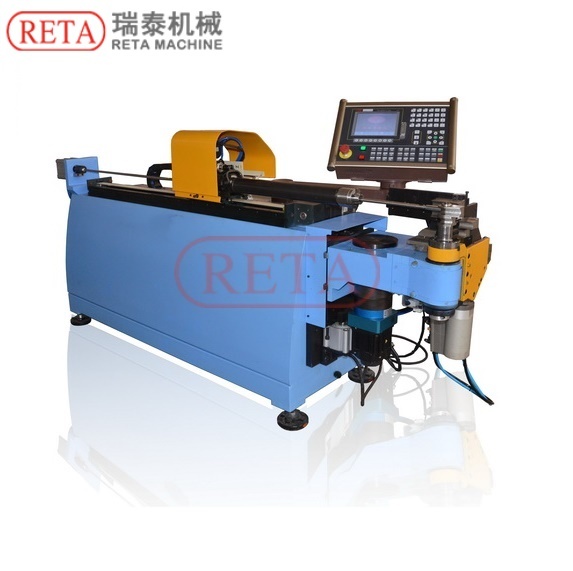 CNC Tube Bending Machine with 3D molding of various tubes, boards and sticks; widely applied to air-condition, engine and furniture. to air-condition, engine and furniture. 1.standard type: 7″ color screen, integrated keyboard, CNC control. simulation of bending pipe, interference detecting. 1.Three axes CNC, pneumatic clamping. 2.Table format program, convenient operation. 3.Exquisite appearance, good machining technology. (cut，end form ,bend) max process tube dia.